Organic traffic should be the number one priority and be given more attention than any other traffic source. Performing search engine optimization (SEO) can help drive organic traffic to your website. SEO can easily be divided in to two parts, on-page and off page. On-page SEO includes the activities you do on your website in order to improve search engine rankings. Search engines consider over 200 factors when ranking websites in search results they are generally more interested in Relevancy, Quality Content, User experience, Site speed, Multiple device support, Authority and Trust. Out of these only authority and trust are 2 factors that need optimizations off site. The rest can be done on site and fall under on-page SEO. Building a strong website structure that is easy to navigate combined with a fast page speeds and great user experiences will help search engines index your website faster. On-page SEO will help improve your search rankings. If you are not getting organic traffic to your website you are losing out on a great free source of traffic. Hence we have put together this brilliant on-page SEO checklist that will get you on your way to thousands of visitors from organic search. After you have selected a good domain name the next step is to find decent hosting for your WordPress website. Having a bad host can destroy your SEO efforts. A website’s speed is a major ranking factor and a slow website will definitely not out rank a fast one. Downtime is also another consideration you need to take. If your website is constantly offline search engine bots will also have a difficult time crawling it. Generally you should avoid dirt cheap hosts, since they host many websites on the same server while sharing resources between them. This will slow down your website. While choosing a host you should also consider the server location and the location of your audience. If your audience is worldwide you will need a CDN, but if your audience is geo specific you should try to get a host whose servers are in your audience’s location. Lately search engines have been penalizing websites that don’t have an SSL certificate. An SSL certificate encrypts information between your server and your websites visitors. Many web hosts come with a free SSL certificate. cPanel also comes with a free SSL certificate. You can also get a free SSL certificate from Let’s Encrypt. When you visit https://www.yourwebsite.com and http://yourwebsite.com you are likely to get the exact same content and in the back of your mind you know that this is the same website. However for search bots and search engines these are 2 different websites with duplicate content. Hence it is important to redirect all versions of your website be it http:// , https:// , https://www. or http://www. to the one domain. As mentioned above SSL versions of your website are important. Hence redirection to https:// or https://www is better than http:// or http://www. Caching improves the speed of your website by storing static html copies of your website’s pages in a cache and delivering those to website visitors. With a fast WordPress host and a caching plugin you can get your site to load really fast. W3Total Cache, WordPress Fastest Cache and WP Rocket are just a few examples of excellent plugins that can help you setup caching. Caching will also reduce the load on your server as the database of your WordPress website will be queried fewer times. Permalinks are the structure of your WordPress URLs. 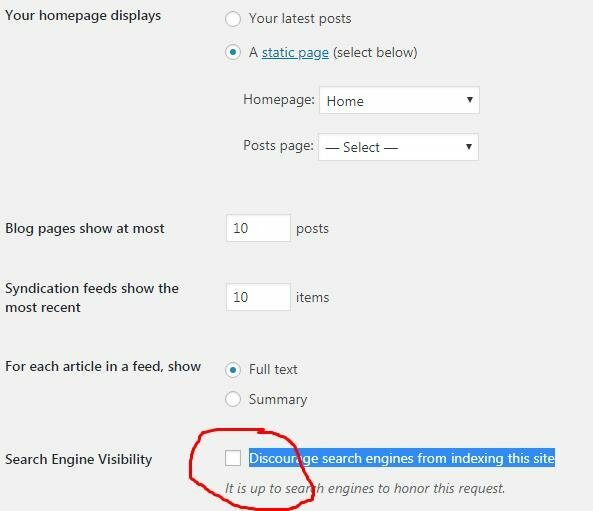 If you leave the default WordPress settings shown below, those links are not search engine friendly. You need to change this setting to use the post name in order to have SEO friendly URLs. Navigate to your WordPress dashboard > Setting > Permalinks to make this change. Make sure you check your website for broken internal links after you make this change and update the internal links with the new link structure. This is an extremely important step for on-page SEO. WordPress SEO plugins will generally help you set Title and Meta descriptions for your WordPress posts and pages. SEO Meta titles and descriptions provide information about your page that search engines use for search results. Very important to set them up on each page and post. 2 of the most popular WordPress SEO plugins include All in One SEO Pack and Yoast SEO. You only need to use one of them and not both. Both are light weight and will not slow down your website. If you are just starting out the free versions of both plugins are good enough for the Job. If you want to perform advanced tasks such as setting category-level Meta titles and descriptions you will need the Pro version of these plugins. A recent development in the use of Meta titles and descriptions is the use of emojis. These are easy to use and grab attention, they will skyrocket your click through rate. A higher click through rate will mean higher Google rankings. As shown below the emojis tend to stand out and grab a user’s attention. As mentioned earlier your websites speed is one of the most important on-page seo optimizations you can do. Once you have installed the plugins that you absolutely need it is good to avoid an overload of plugins. These will slow down your website unnecessarily. For some functionality that you might want to add via a plugin it might be best to take an alternative root. For example while using a 301 redirect plugin to redirect links might seem easier, the plugin might actually slow down your sight. Instead it would be easier to edit the .htaccess file and do the 301 redirects from there. One of the most crucial parts of on-page SEO is the use of heading tags. Heading tags help search engines identify important aspects of your content. When creating heading tags always remember H1 should exclusively be used for the title of your post. You can use H2 for sub headings, if for example you are writing a listicle you can use h2 for each listicle item. H3 and H4 tags should be used for sub steps and highlights in your content. 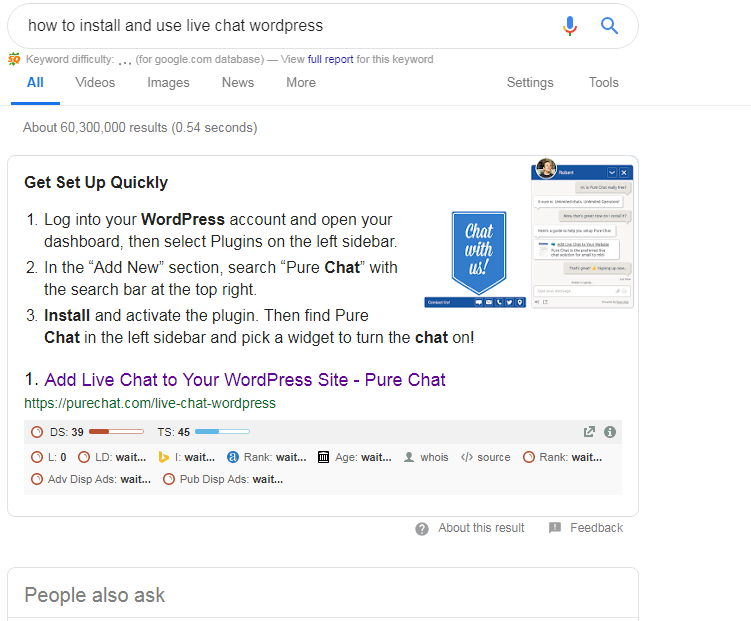 To get your content in the featured snippet use your heading tags in a way that answers peoples questions. These are a must have for your website. Other than getting social signals that are of high value for search engine optimization, social sharing will also drive traffic from social networks. You can easily add social sharing buttons to WordPress via a plugin such as Sumo. It’s free, easy to install and encourages users to share your content. Responsive websites or mobile friendly websites allow you to have one URL for your pages instead of having multiple URLs for mobile and desktop. Responsive websites automatically resize, hide, enlarge or shrink pages based on the screen size the user is visiting the web page from. This one can be slightly technical but more and more people tend to use search engines from their mobile phones nowadays. Search engines understand this and have switched to displaying mobile friendly results first when the query is done from a mobile phone. This has been happening since 2015 with the Google penguin update. If you are starting your website ensure you choose a WordPress theme that is responsive. Most modern WordPress themes are responsive. If you already have a website and it’s from the stone ages (not responsive) you might need to hire a web developer to make it responsive. This is a simple tweak that often tends to get overlooked. There is no website whose on-page SEO cannot be improved with internal linking. To build your internal links simply, when writing new posts look for 2-3 existing posts on your website and link to them in the body of your new post contextually. Another tactic you can use with internal linking is identifying which of your posts have decent organic traffic and link to other websites you want to rank from those posts. You will easily pass link juice to other websites you are looking to rank. It’s a neat little on-page SEO trick that you cannot ignore. No checklist is ever comprehensive enough, however should you follow the each optimizations mentioned here you will be on your way to improving your search engine rankings. It may seem tedious at first to go through this list and many people struggle with the whole process each time they publish new content, in the end it all depends on your goals and hunger for organic traffic. After you are done with on-page optimizations there is still off-page optimizations which you need to look in to but that is another topic for another day.